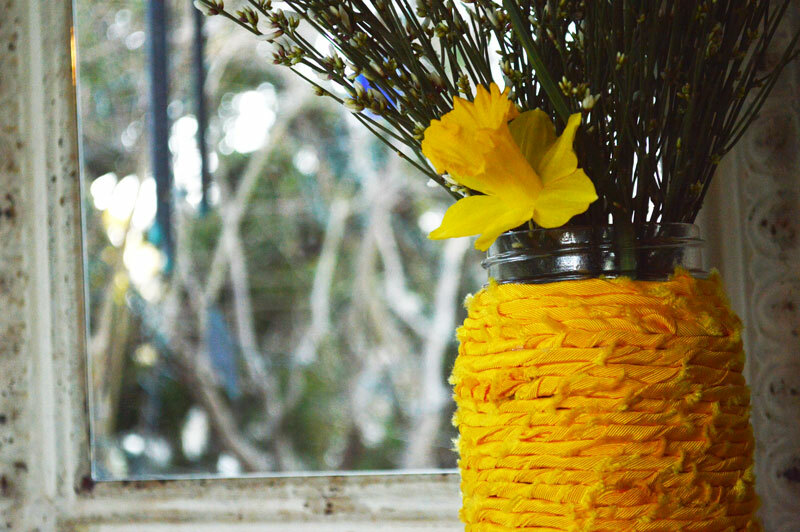 Sometimes your old jar just needs to be wrapped in shredded, twists of fabric to become a beautiful style statement vase for your home! 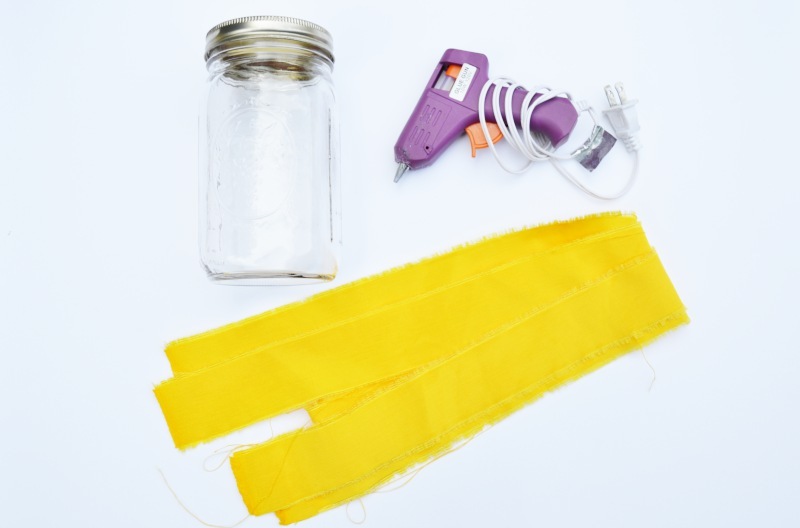 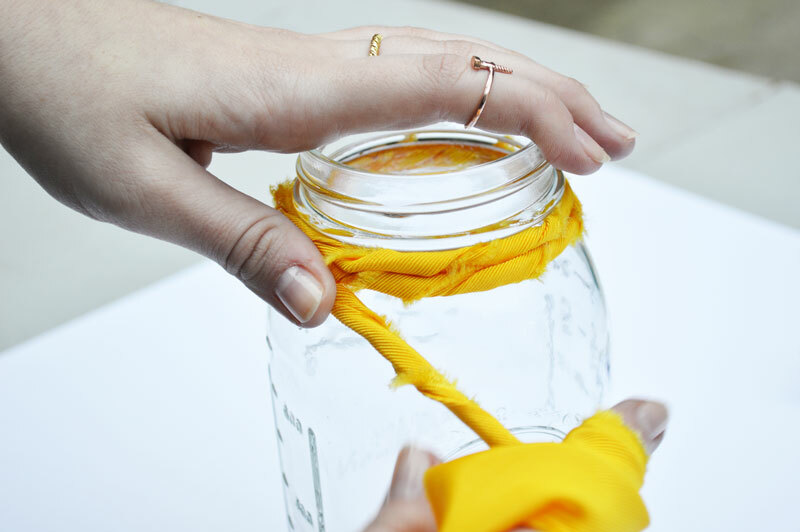 …and that’s exactly what we did using some old mason jars, scrap fabric and hot glue. 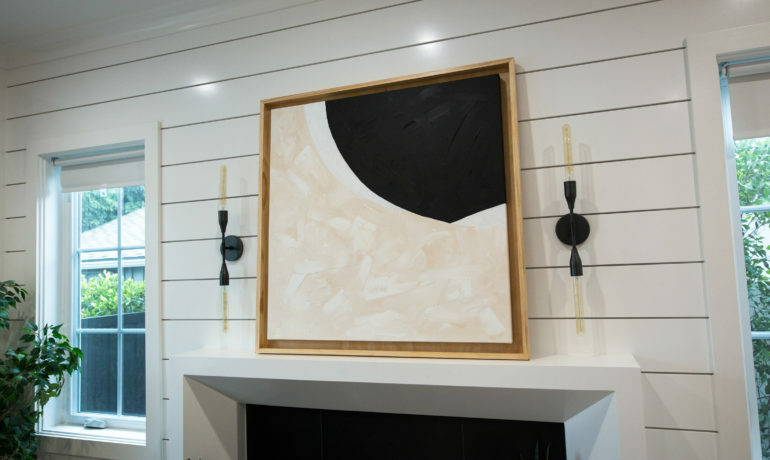 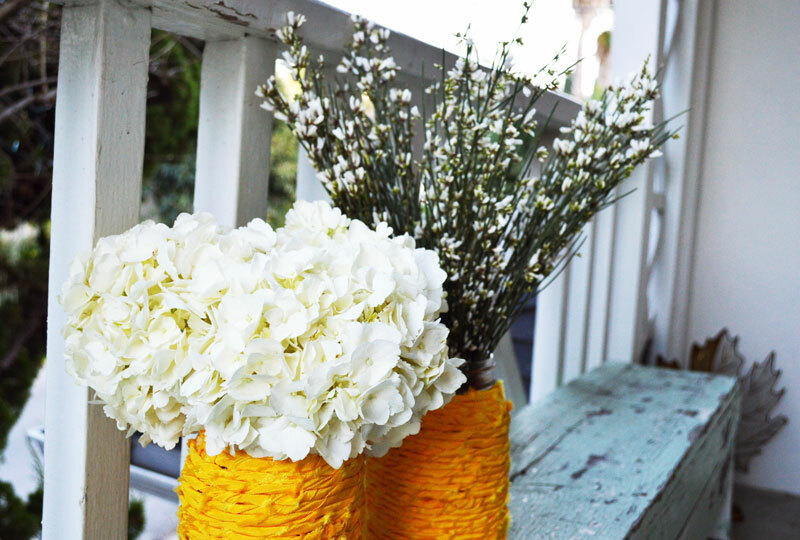 These textured vases would make a great easy and inexpensive, DIY gift too! 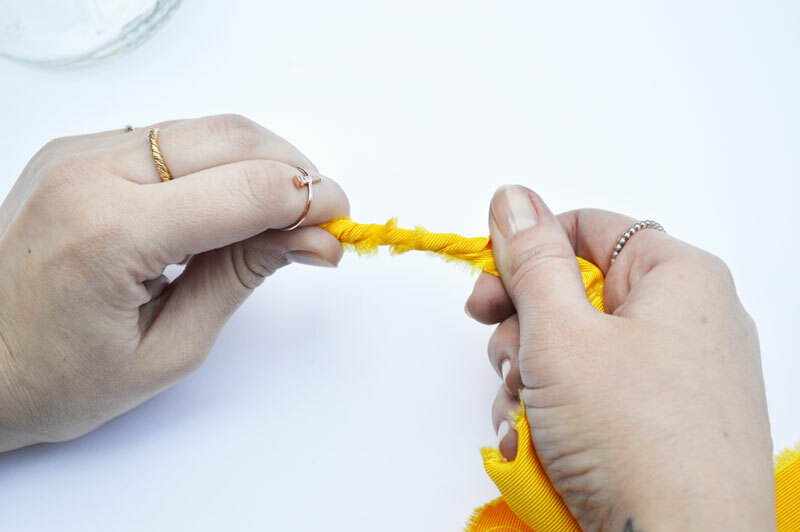 The color opportunities are endless, depending on the fabric you choose. 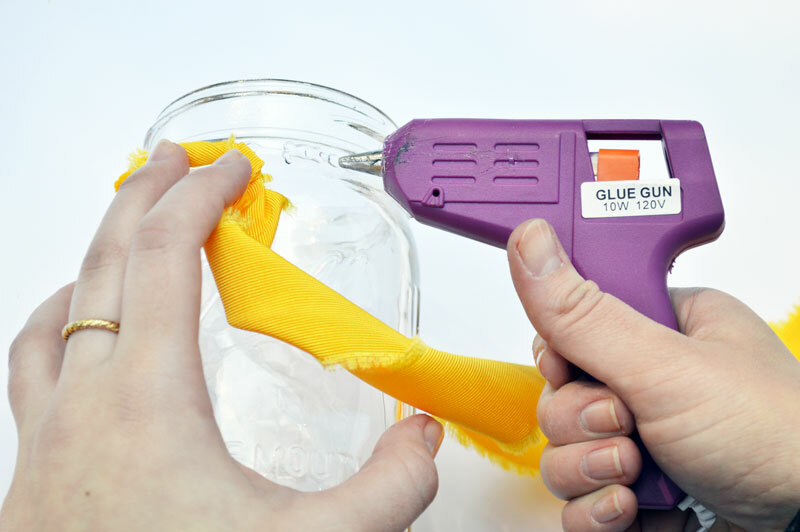 twist (clockwise) and cover the dab of glue… continue until you make your first circle around the top of the jar *only do a little glue at a time as it dries quickly! 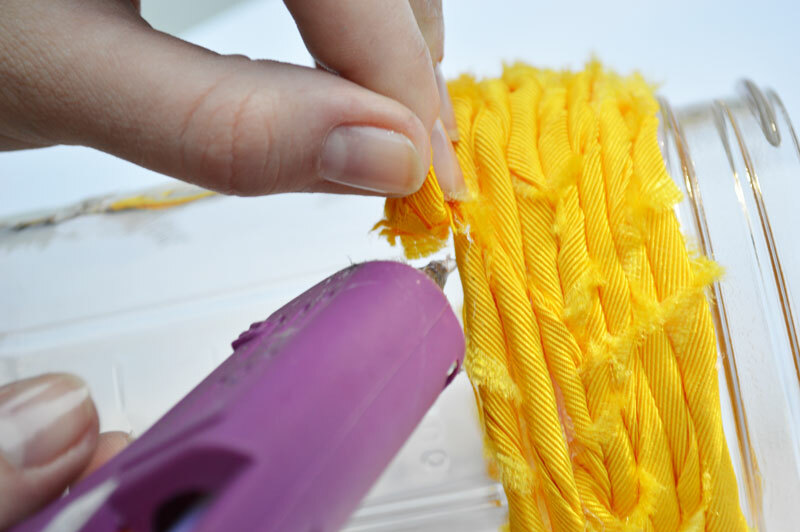 as you twist the fabric, guide/push fabric towards the top layers to prevent gaps as well. 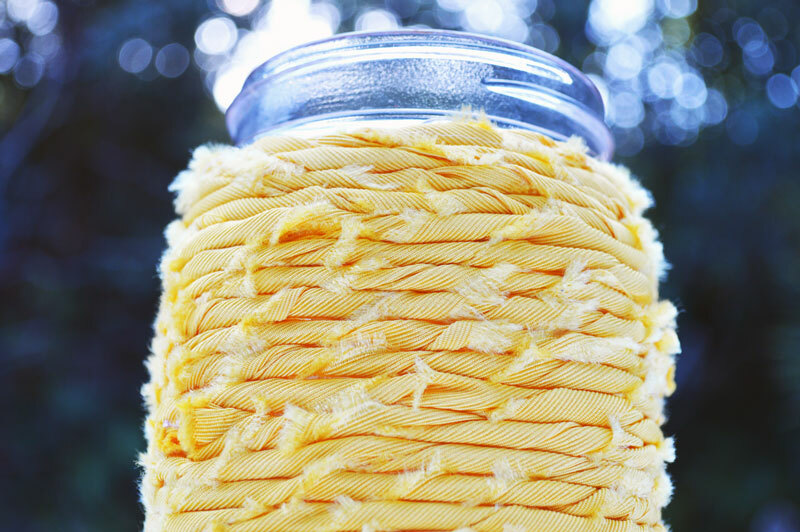 finish when you reach the bottom of the base of the jar. 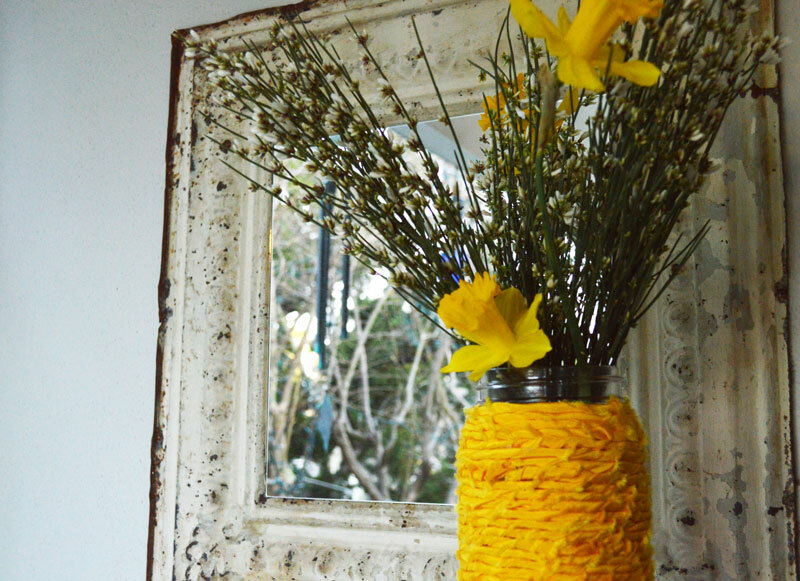 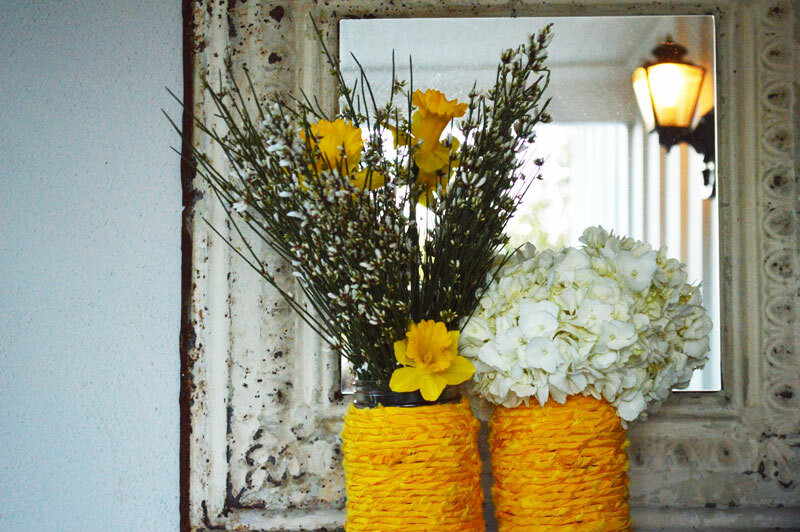 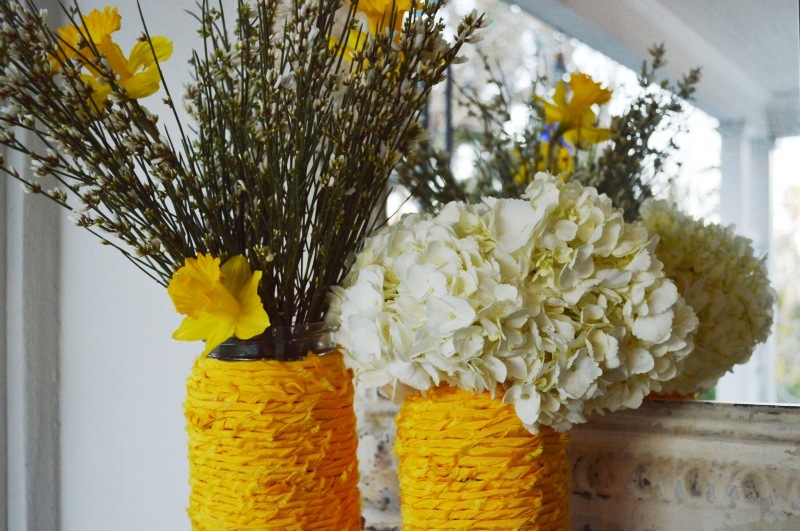 puts some flowers in your new, upcycled vase, and you’re ready to add a pop of DIY color and texture to any room!